Swirl8 is an adjustable pattern swirl air diffuser suitable for mixed flow ventilation and variable and constant volume systems. 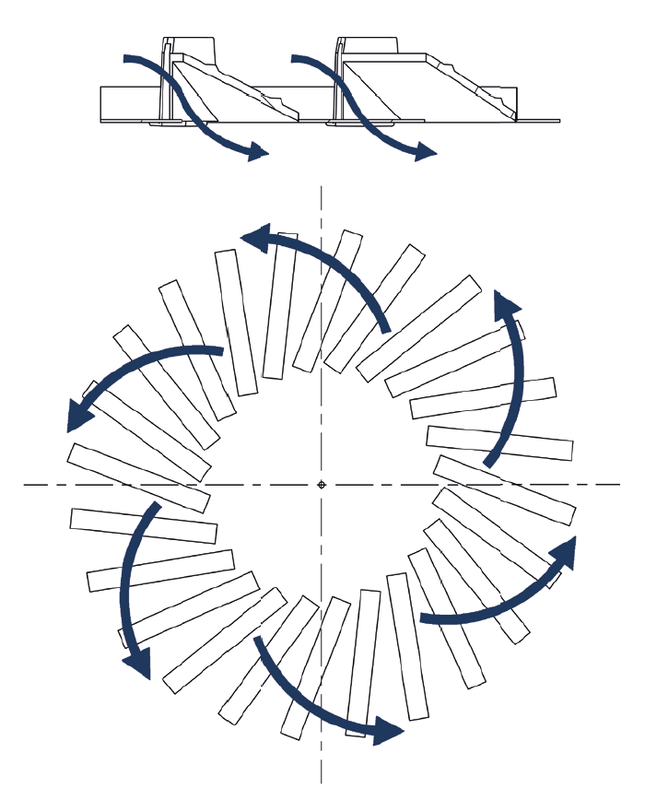 The rotary swirl motion of the supply air rapidly induces room air to quickly decrease the velocity and temperature difference of the incoming supply air and helps create uniform air velocities and temperatures within the occupied zone. Due to the design of the diffuser and resulting air pattern, air change rates of up to 25+ per hour can be achieved whilst still maintaining comfort levels. The diffuser can be used with a horizontal air pattern on ceiling heights ranging from 2.6-4.0m, primarily in cooling applications. Our purpose designed and individually selected plenums boxes will ensure optimum performance from the Swirl8 diffuser. External face plates constructed from galvanised steel with internal deflectors from flame retardant ABS. Polyester powder coat to RAL9010 - 30% gloss to all external surfaces with black flame retardant ABS internal deflectors, as standard. White deflectors are available as an option. Alternatively, we have five standard RAL colours to select from and are also able to finish from other colours within the RAL range on request. Plenum box and crossbar manufactured from 0.7mm galvanised sheet steel as standard.